Some parents may have been neglectful, mean, absent, or abusive. When they need care, it can become a difficult caregiving situation. If you’re struggling with making decisions about caring for parents who didn’t care for you, it’s important to know that you’re not alone. 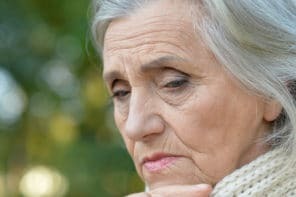 Many adult children have complicated relationships with their aging parents, especially when there’s a history of conflict. You’re not required to selflessly throw yourself into caring for them – you always have a choice in how to handle the situation. It might not be easy to arrive at a decision, but remember that you can always change your mind if that choice doesn’t work out well. And remind yourself that you deserve to make choices that protect your mental and physical health. We share 5 ways to handle the situation when there’s a negative or conflicted history between you and your aging parent. They range from coping while giving care to making sure they’re taken care of, but not being personally involved. Adding a negative or conflicted relationship with your parent on top of the typical stress and emotional conflict that comes with being a caregiver makes it even harder to maintain your emotional well-being. Talking with a counselor or therapist can help you work through the strong feelings and difficult decisions that come up when you’re caring for parents who didn’t care for you. They’re experts who help people deal with stress, depression, anxiety, major life changes, negative thinking, and more. A counselor or therapist won’t judge you, their advice is unbiased, everything that’s said is confidential, and you can talk about topics you wouldn’t feel comfortable discussing with your spouse, family, or friends. They can be especially helpful if you’re struggling with tough decisions like whether or not to be involved in your parent’s care, how to limit your involvement in their care, or how to set healthy boundaries. When you’re not comfortable stepping away entirely, but also aren’t able to be closely involved in your parent’s care, hiring someone to fill the role may be a good option. Someone like a geriatric care manager (GCM) is an aging care expert who will make sure your parent gets the care they need. They can handle the day-to-day issues that inevitably come up and be a buffer between you and your parent. A GCM’s services can get expensive, but it may be worth it if it gives you peace of mind. Caregiving is an isolating experience and it’s natural to feel like you’re the only one in this type of situation. Joining a caregiver support group can be so helpful because it validate your experiences and gives you the chance to vent. It’s a relief to know that what you’re going through is normal and that you’re not the only one with these feelings – negative or positive. Whether you join an in-person or an online support group, chances are high that you’ll meet plenty of other caregivers who have conflicted relationships with their parents. There are many caregiving books that specifically address caring for parents who didn’t care for you. Reading these types of books can give you helpful perspective on your situation and help you find solutions, learn coping skills, and make tough decisions. Doing the Right Thing: Taking Care of Your Elderly Parents, Even If They Didn’t Take Care of You, by Roberta Satow Ph.D. If you need to distance yourself from your parent’s care, a good option may be to get a legal guardian appointed for them. This doesn’t work in all situations, but is something to investigate. This will require that your parent can be declared legally “incompetent” – basically, they’re not capable of making decisions for themselves and need someone else to supervise their health and personal care, housing, and finances. Your local Adult Protective Services (APS) or Health and Human Services (HHS) agencies should be able to help you get started with this legal process. Once the state has appointed a legal guardian for your parent, you’ll have peace of mind knowing that someone will be taking care of them. And, most importantly, you won’t be forced to do something that would have severe negative consequences for your health and well-being.